Neck Plate: 4-Bolt, Serial "L"
Closet Classic Finish: Has a few small dings, checked finish, oxidized hardware and aged plastic parts. 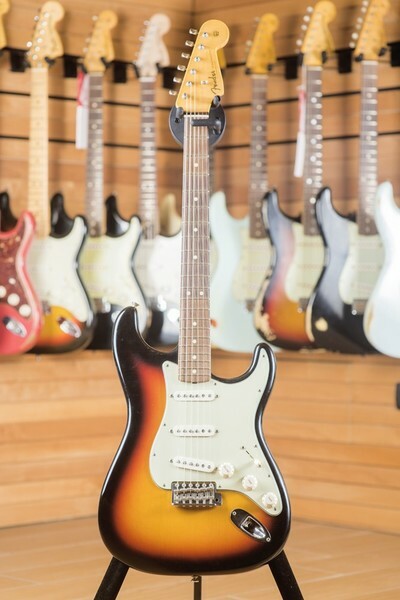 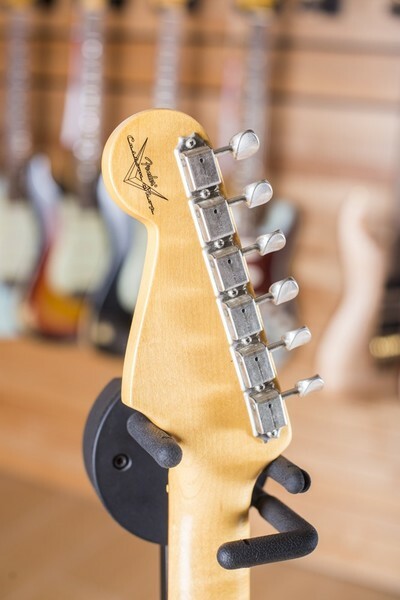 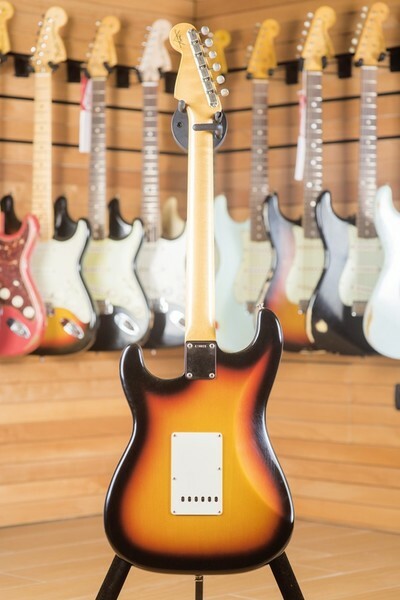 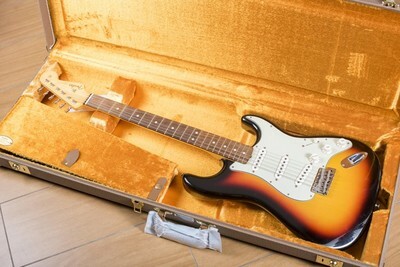 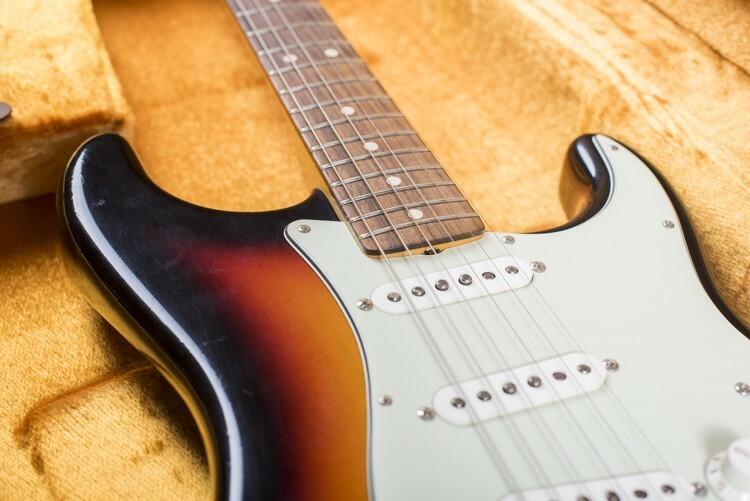 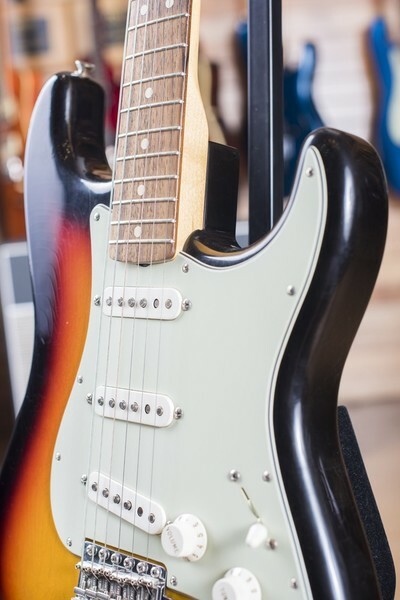 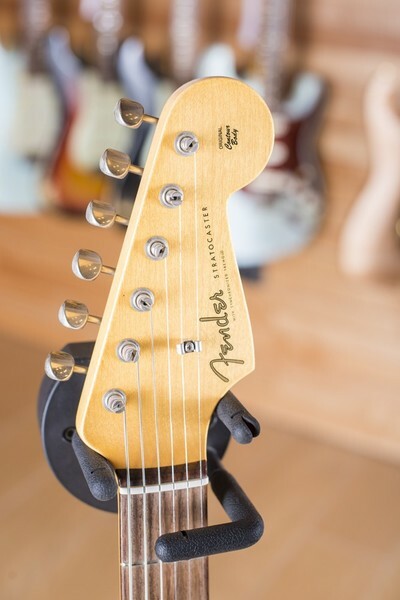 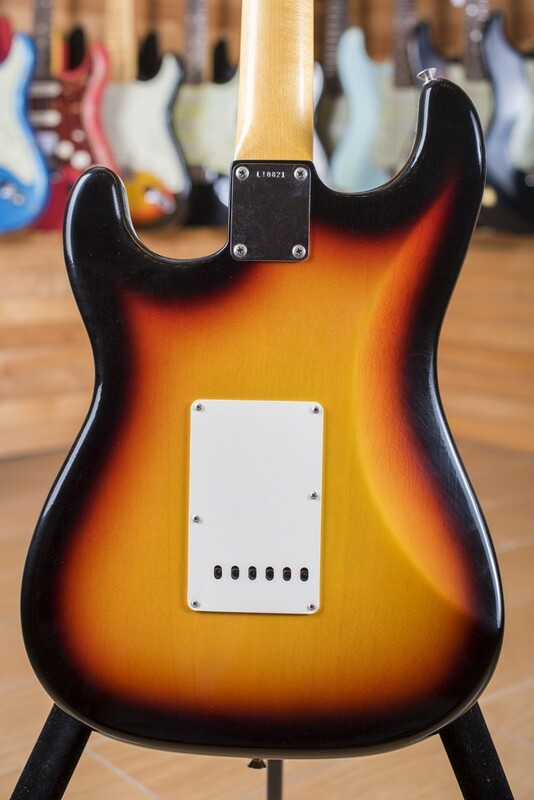 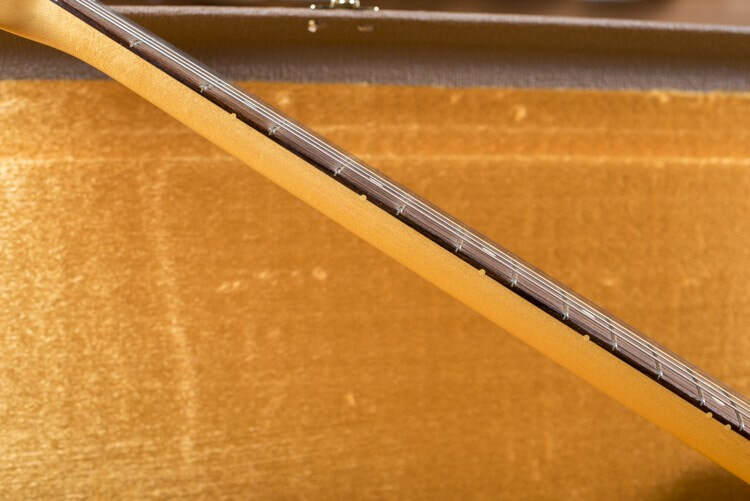 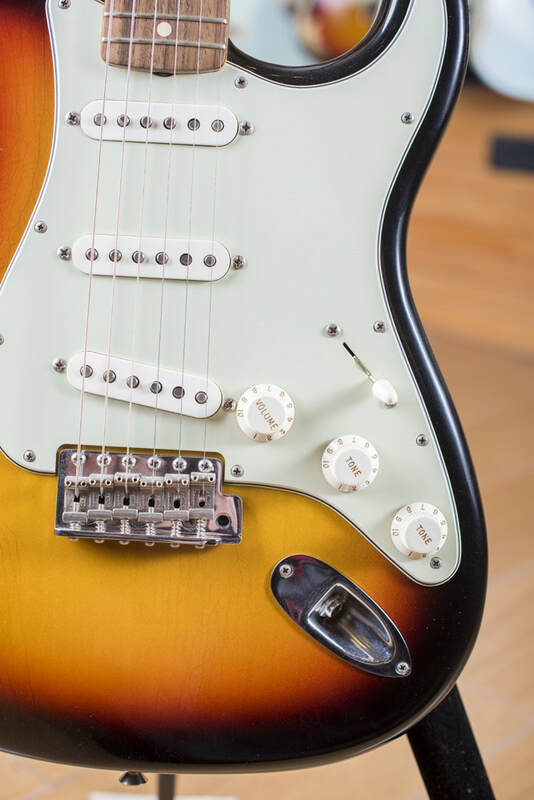 The classic look of a Sunburst-finish Stratocaster never gets old, and a decade after its introduction, the instrument was poised at the brink of history-making music in 1964. 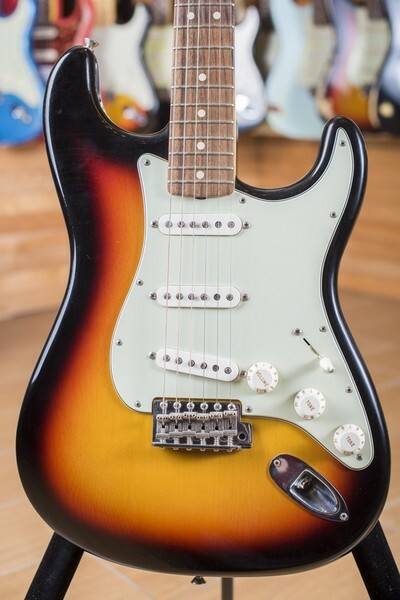 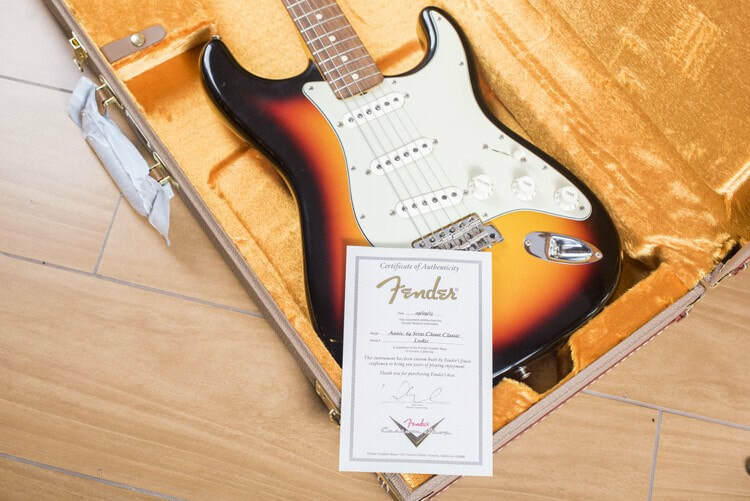 The Fender Custom Shop celebrates the 50th anniversary of the 1964 Stratocaster by recreating the instrument with a beautiful Closet Classic Three-Colour Sunburst finish, hand-wound pickups, a 7.25"-radius hand-selected rosewood fingerboard with 21 vintage-style frets and, in an extra-special touch, the long sought-after "L Series" neck plate.